On Sunday 10 June from 12pm to 2.30, Hill Close in North London (NW11) will be hosting it’s inaugural summer fete. Long term supporters of the Family Holiday Association may recall that an annual summer fete used to be organised by one of the charity’s local groups, the North London Friends of the Family Holiday Association. This was set up by charity founders Joan and Patrick Laurance when the charity was born over 40 years ago. 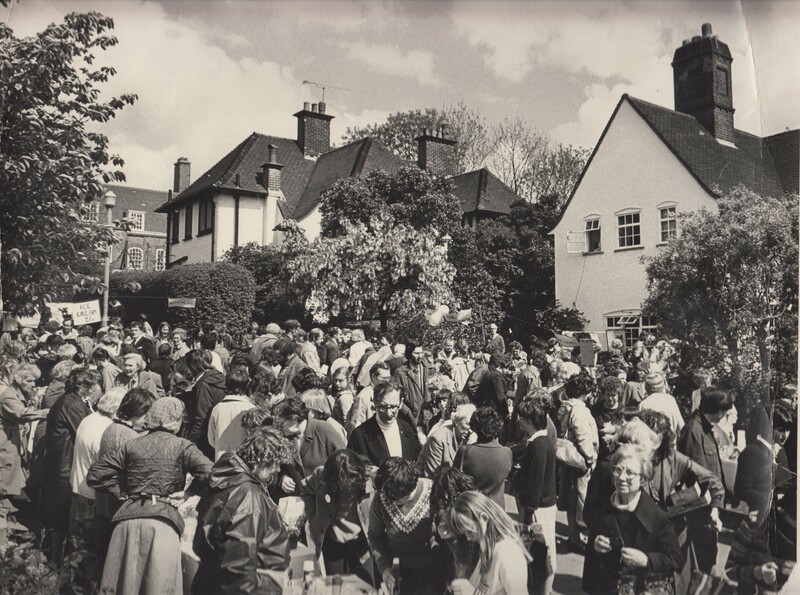 The picture above is of one of their original fundraising fetes! We are delighted that a fete will be held in aid of the charity once more in North London and would like to thank the organisers for all their hard work. There will be stalls selling second hand books and toys, jewellery and clothes, cakes and lemonade, as well as a free balloonologist. If you are free on the 10th June, please do head along. Say hi to the community and help revive the fete, whilst contributing to a great cause!